Before your Buck gets locked to the old ball and chain, chain him to a leap like no other. 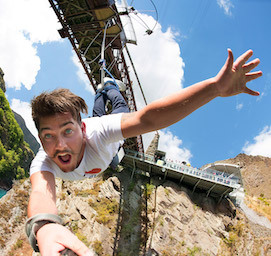 This jam-packed party package is not for the faint hearted; you will experience a 400m fall to Queenstown! 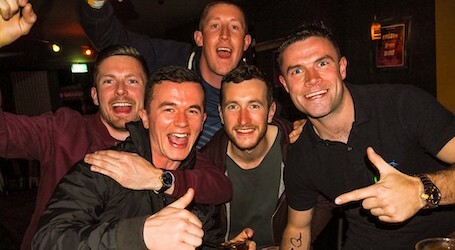 After the death-defying jump head on out on the town for a party like no other as you join in on Queenstown’s best pub crawl. Day 2 of this package finds you stuck in to an epic 360-degree shoot-em-up laser tag battle, and if that wasn’t enough, take a journey to the edge of reality in the Vortex 12D Motion Thrill Ride, not only once, BUT TWICE! Finally, as if that wasn’t enough, we have exclusive entry to one of Queenstown’s best gentlemen’s clubs. Just what every Buck ordered! 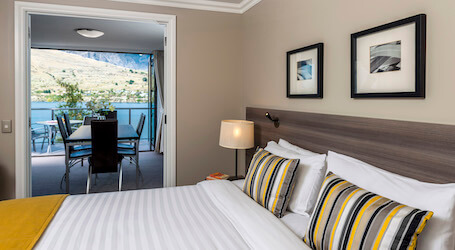 Right in the centre of Queenstown you will find your ideal accommodation to crash at the end of your jam packed days. This refined brick building is the perfect relaxed hostel for your budget. Word of advice, don’t look down! 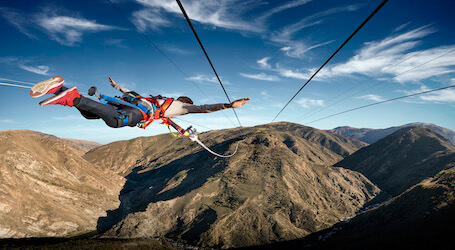 Prepare your Buck to take a 400m leap of faith as you take your sightseeing of Queenstown to the absolute extreme! The possibilities are endless when factors such as twisting, flipping or diving come into play! There is even an option to jump at night if you’re wild enough! (available winter only). 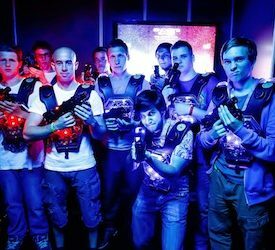 Forget everything you know about laser tag! 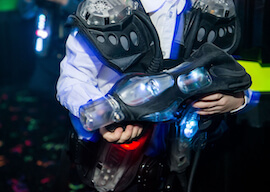 Wired headbands, vests, plastic guns and sci-fi sounds become a thing of the past and have no place at extreme laser tag! Using the latest in combat technology you enter a professionally-designed, 360-degree arena and battle it out using gear similar to training equipment used by law enforcement officers and federal agencies. Now if that wasn’t thrilling enough, then how about taking a ride in a unique ‘active motion’ seat watching 2 of the 80 incredible selected movies in your own private theatre. This must-do white-knuckled adventure will stimulate your senses in the Vortex’s cutting edge motion theatre. 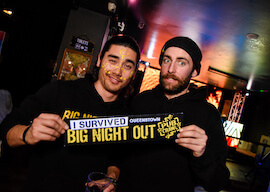 Join Queenstown’s nightlife experts as they take you out for an incredible night out! 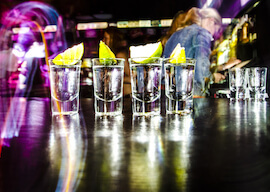 Spend the night touring around some of Queenstown’s best pubs, clubs, bars and nightclubs, making your Bucks party one of the most memorable experiences EVER! The girls are aplenty and are ready to satisfy your every need! No Bucks party is complete without a few beautiful women dancing especially for you and your Buck! At Queenstown’s exclusive gentlemen’s club be prepared for a sensational show that will leave you wanting more!